We’re not all bah, humbug here at Clinicality Press – although don’t think for a second that all the festive frivolities mean we’re going to be giddy with seasonal spirit. Life – and death – goes on, and when it comes to sticking the harsh realities in your face, few writers come more harsh in their realities than Karl van Cleave. So we’re unveiling a second story from Karl’s forthcoming collection of stories, Incisions, Collisions and Aborted Missions via Smashwords. 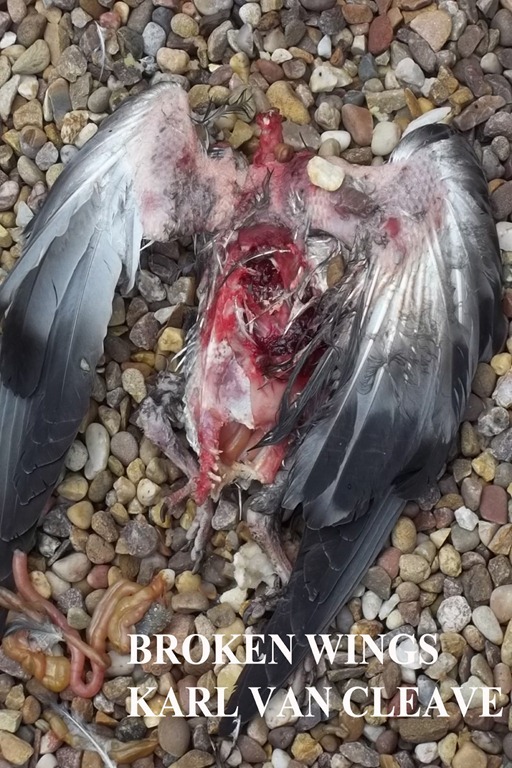 ‘Broken Wings’ is clinical, brutal and existential. And in the spirit of goodwill to all, we’re giving away the first downloads for FREE. You can get yours in practically any (virtual) format you can imagine by following this link. Incisions, Collisions and Aborted Missions will be published as an e-book in February 2013, with a print edition later in the year.